Sandra Hopkins being presented with her award by Chairman John Preece. 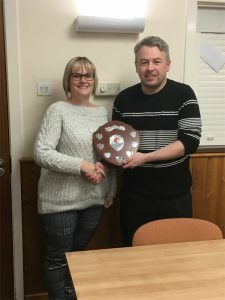 Ann Twist being presented with her award by Chairman John Preece. The Parish Council would like to thank all who entered the competition and appreciate your continued support in this event. It contributes to the festive season in the village. 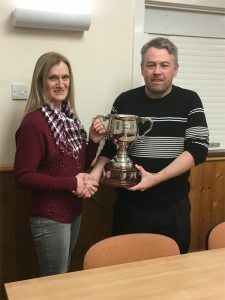 The presentation of the Awards took place at the January Parish Council meeting. Jubilee – What a success! !